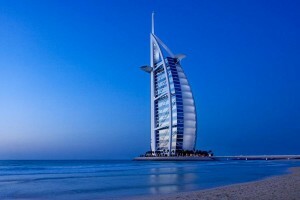 Dubai is a wonderful destination which is emerged as a grand tourist spot. Quality hotels with luxury, huge skyscrapers, unique services and treat, adventure hub, lavish lifestyle and a lot more. 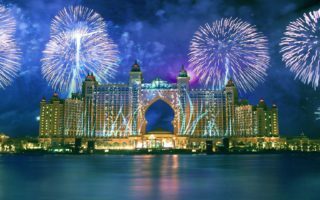 Dubai has everything to offer to everyone then it would be a business traveler, leisure tourist, honeymooners or shopping freaks. Desert safari, cruise, beach, shopping malls, sand dunes, theme parks, Ferrari world etc are among some of the prime highlights of Dubai. On arrival at Dubai International airport, our representative will assist you to transfer to hotel and heck in. Jumeirah Mosque, Jumeirah Public Beach, Burg Al Arab (most luxurious and lallest hotel in world). Late afternoon proceeds for the evening safari and Dow Cruise. The program also includes belly dance program. In the evening board the Cruise, Dubai creek is famous for a wooden made creek. 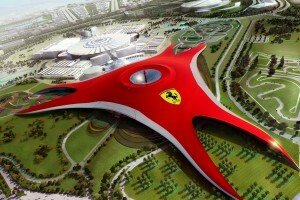 Today Dubai has become favorite choice among the tourists. Bollywood park is a perfect retreat for the one who want to glimpse the experience adventure. The park and theme are inspired by true bollywood blockbusters. Burj Khalifa is the tallest structure in the world. Today you will visit the super giant structure. 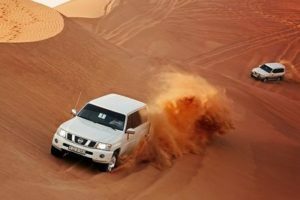 Later proceeds for the desert safari at sand dunes of Dubai. The safari of Arabian desert will win your heart. BBQ Dinner and Belly dance will add on extra stars and charm in the tour. Entrance tickets for sightseeing and activity places mentioned in itinerary. Lunch & any beverages throughout the Tour. Early check-in & late check-out rooms. Any other expenses of personal nature not mentioned above.